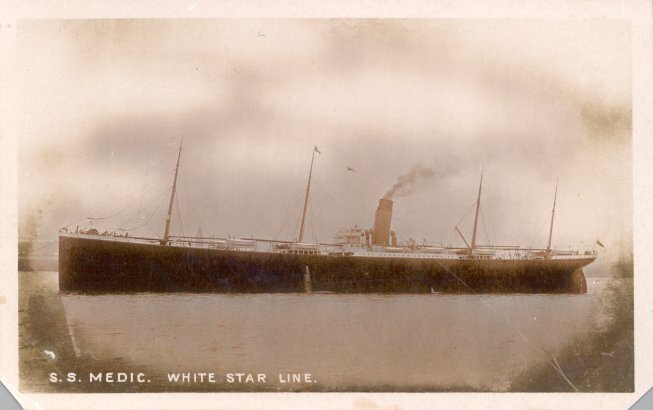 Medic was the second of the "Jubilee Class" of ships designed to permit White Star to run a monthly service to Australia, but the first of them to actually sail to Australia. 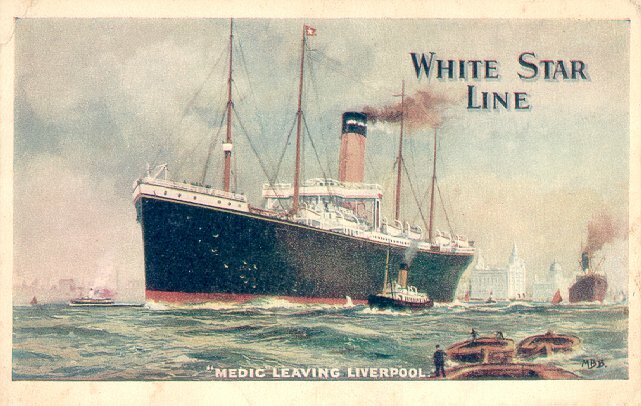 Built by Harland & Wolff, Belfast, Medic was launched in December 1898, and made her maiden voyage from Liverpool to Sydney via Cape Town, on 3 August 1899, while her older sister, Afric, was still at Belfast for modifications after her maiden voyage, which had been to New York. Medic remained in commercial service during World War I because of her large frozen meat capacity, although she was operated under the Liner Requisition Scheme for two years. 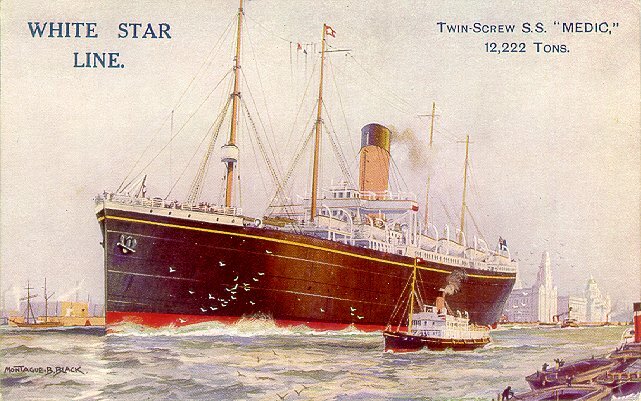 She returned to White Star service in 1919, and remained on the Australia route until 1927. In January 1928, Medic was sold and converted into a whale factory ship named Hektoria. Hektoria was torpedoed and sunk in the North Atlantic by U-608 on 11 September 1942, while serving as a Ministry of War Transport oil tanker.